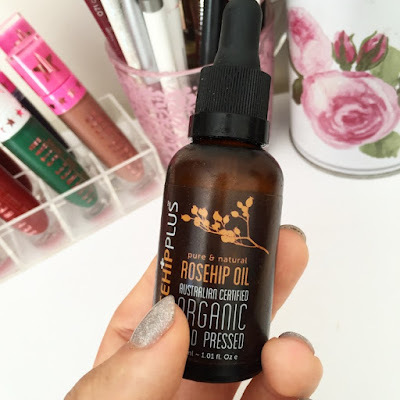 Benefits of Rosehip Oil - 12 Days of Blogmas! Hey, friends! If you know me in real life you've probably heard my "Why You Need To Start Using Rosehip Oil Immediately" lecture, but if not, I am about to give you that same lecture in written form. You're welcome. I first discovered this wonder product about six months ago, but it was honestly love at first application. I'm always hesitant about using cult products as they are often overhyped and underwhelming but this stuff actually works. 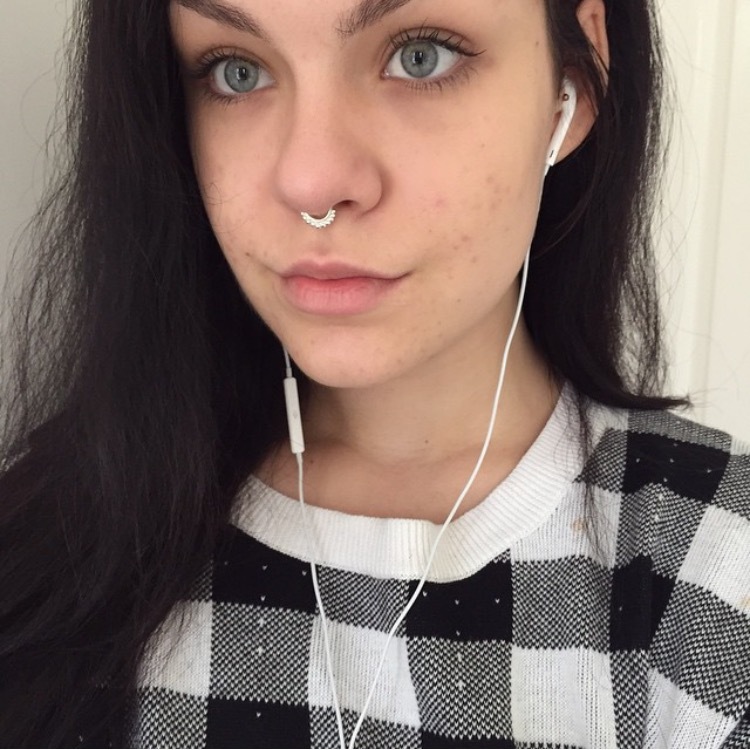 As an acne sufferer (and chronic pimple popper, oops) I figured I would perpetually be scar-faced; I'd tried other oils which claimed to reduce scarring but was left disappointed and greasy each time. However, I can confidently say that about 80% of the nasty little marks once haunting my face region have completely disappeared, and the remaining 20% have at least faded. How, you ask? Magic. Kidding. It's all of the essential fatty acids and such. But this glorious liquid is not just a spot treatment, it's also a wonderful night time moisturiser, hair serum and cuticle oil. It's like the overachieving student who makes all of it's peers feel bad, you know? 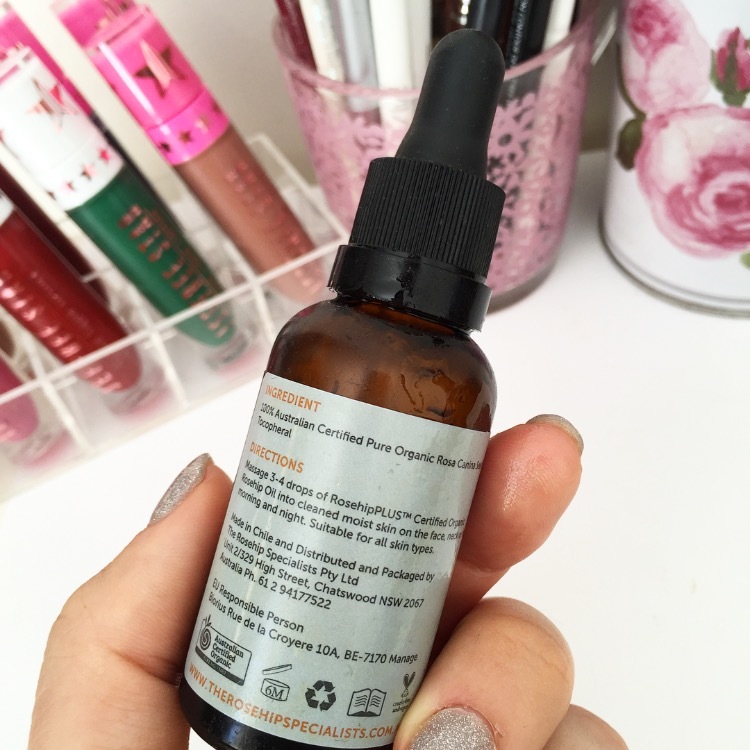 If you're naturally oily, using a beauty oil might be equivalent to a Fear Factor challenge for you, but I can assure you that it is exactly what you need. Before I started using Rosehip I could cook fries on my face with the amount of oil my face produced, but my skin type has now changed from capital O Oily to normal/combination. This is because applying a topical oil is the equivalent of packing your glands a suitcase and sending them on a holiday. If you're already adding oil into your regimen, they don't feel the need to produce more, and thus you can go through the day without looking like you've dipped yourself into a deep fryer. Unless you like that look, in which case more power to you. Long shorty short: buy this damn oil.